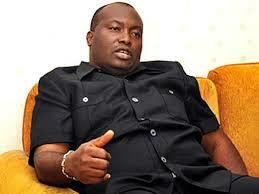 DSS arrests Ifeanyi Ubah over alleged N11bn petrol theft – Royal Times of Nigeria. The Department of State Service, DSS has disclosed that oil magnate and managing director of Capital Oil and Gas Limited, Chief Ifeanyi Ubah is in its custody. Ubah, who was quizzed some weeks ago, was again arrested on Friday over his alleged engagements in acts which the security outfit described as inimical to national security. The DSS in a statement signed by its spokesperson, Mr. Tony Opuiyo, in Abuja today, accused Ubah of stealing, diversion and illegal sale of petroleum products stored in his tank farm by the Nigeria Petroleum Products Corporation, NNPC. Opuiyo, who put the cost of the oil at more than eleven billion naira, added that such acts were impacting negatively on the national economy.